Give the gift of deliciously traditional BEIGNETS! 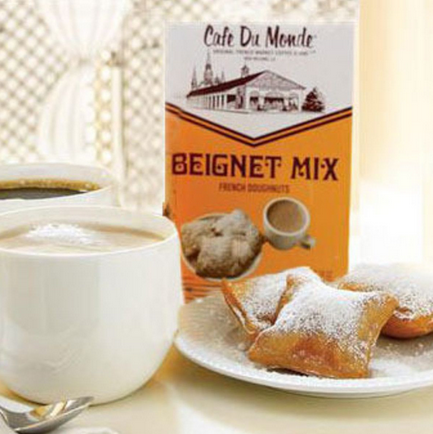 NAWLINS Beignets couldn't get more authentic, and you are sure to love this Gift Package. 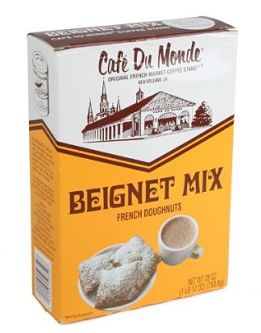 1 Cafe' Du Monde Beignet Mix which makes 4 dozen French doughnuts. 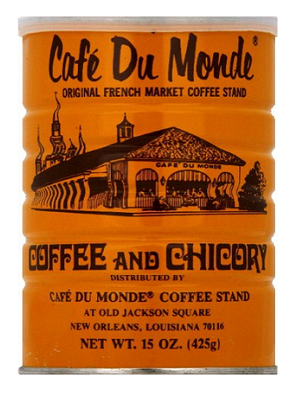 Exclusive Coffee and Chicory blend served at the Cafe' Du Monde, the original French Market coffee stand, serving cafe au lait and hot beignets 24 hours a day, year round.